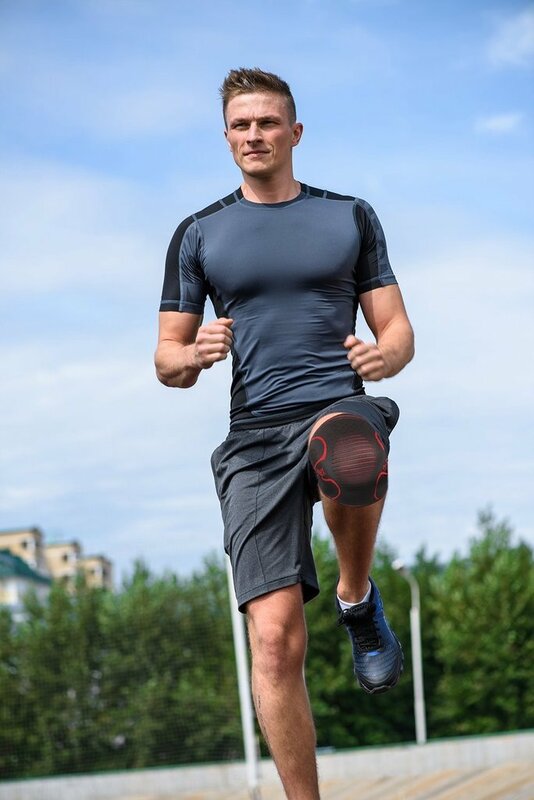 You would need the best knee brace for running if you are suffering from knee pains caused by some degenerative disease or, you just wanted to improve your knee’s structural position. Technically, knee braces are one of the many materials that provide support and protection to your knees due to whatever reasons. Furthermore, you would also need to have the perfect knee brace for activities that will require you to use your knee power for most of the time. Aside from running, these activities include martial arts, cycling, swimming, dancing, calisthenics, weightlifting, and the use of gym equipment, particularly elliptical machines. We will be reviewing the top five best knee brace for running. Highlights of the following knee braces that were designed to help you have pain-free and injury-free running will also be discussed. 3M’s Futuro brand has smoother edges and longer length to provide comfort for users. Its fit is customizable and is relatively easy to put on and take off. Lastly, it has pivoting lateral stabilizers. Witkeen highlights its fully adjustable, three-strap support system that adds secured position of the knees that measure from 12.5 inches (1.04 feet) to 18 inches (1.5 feet) in circumference. The neoprene-based knee support has dual purpose: additional protection and draws away excess sweat from the knee. The Bracoo brand has a reinforced stabilizer, and its design is considered to be an effective knee-pain reliever. Winzone’s product has a larger fit, it can fit knees measuring from 12.4 inches (1.04 feet) to 21.7 inches (1.81 feet) in circumference. And, it has dual-side stabilizers for maximum knee protection. It has a double silicone anti-slip wave that prevents slipping amid intense exercises. Furthermore, it has an elastic, four-way stretch material that provides a good fit for everyone. Lastly, it has compression capabilities that improve knee and leg muscle endurance. Most of these knee braces are estimated to cost from 12.00 US dollars to 30.00 US dollars. These, however, are not definitive and the price may either increase or decrease depending on where you are and if there are other added cost on shipping. Lastly, all of the knee braces are made of synthetic, elastic materials with different designs and purpose. Some knee braces have an easy strap, such as the knee braces from Futuro, Witkeen, Bracoo, and Winzone. 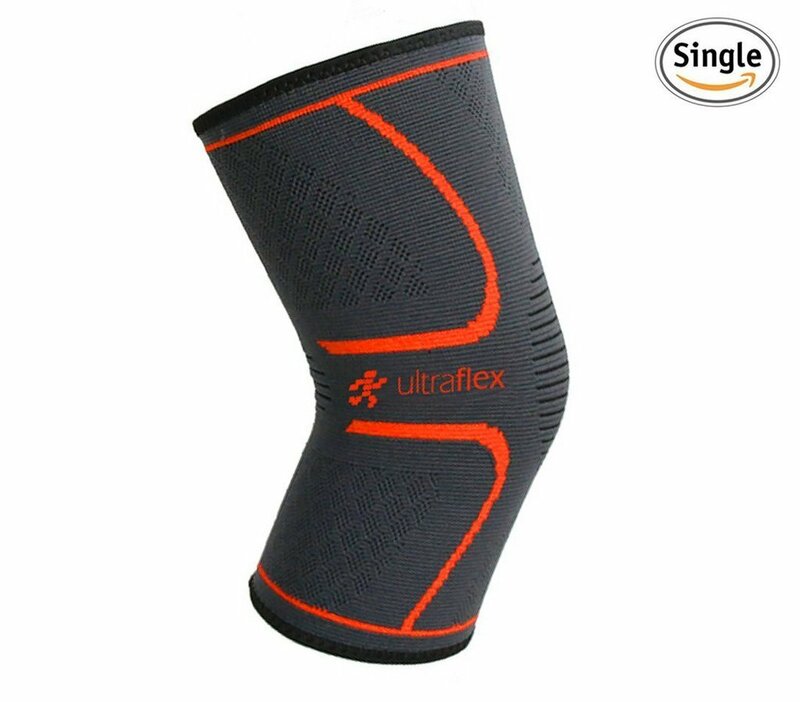 Only the knee brace from Ultra Flex Athletics has an easy-to-wear feature, which means that you can just slip the knee brace without any Velcro or straps. The Futuro Hinged Knee Brace is an adjustable knee brace that has a knee cap cushion, which is made to provide stability and knee protection. Its straps are not only made to customize fit, but also to provide seamless support. It is made from neoprene material that provides a relaxing heat for the knee. Neoprene is a strong rubber material that is sometimes used as an alternative to latex. With this, pain in the knees due to cold may diminish. Despite problems in the size and fit, most buyers are contented with the relief the knee braces are providing. The Witkeen Knee Brace similarly works like the previous knee brace. However, this certain brand promises users to have an immediate relieving effect to those who are suffering from arthritis, tendonitis, sprains, and other illnesses. This particular knee brace promises to protect your knees from further wear-and-tear without losing its ability to provide comfort. Furthermore, the materials that were used in the knee brace are neoprene (80 percent) and nylon (20 percent). This may provide durability as well as comfortability to the users. Lastly, it boasts the so-called research-backed flexible metal coils that provide total knee support and added protection for your knees. 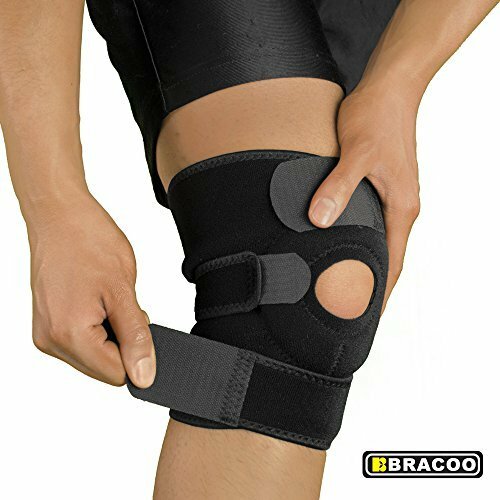 The Bracoo Knee Support promises to relieve pressure and relieve knee stress during strenuous activities, and this is assured by the Bracoo knee brace’sopen-patella design. Similar with other knee braces, Bracoo also provides anti-fatigue and post-surgery recovery for your knees. Another feature that Bracoo offers is the reinforced stabilizer ring. This ring is designed to prevent the unintended movement of your knees from left to right. This is very helpful to those people who want to run, but are restricted due to injuries in their knee and ligaments. This will also prevent the injury to relapse. The adjustable Velcro straps also provide further support, fit, and, anti-slip to the brace. Lastly, Bracoo’s material is a thicker neoprene layer that provides added support and protection to the knee. Moreover, this removes sweat from the pad. However, this anti-sweat feature may not work that great. 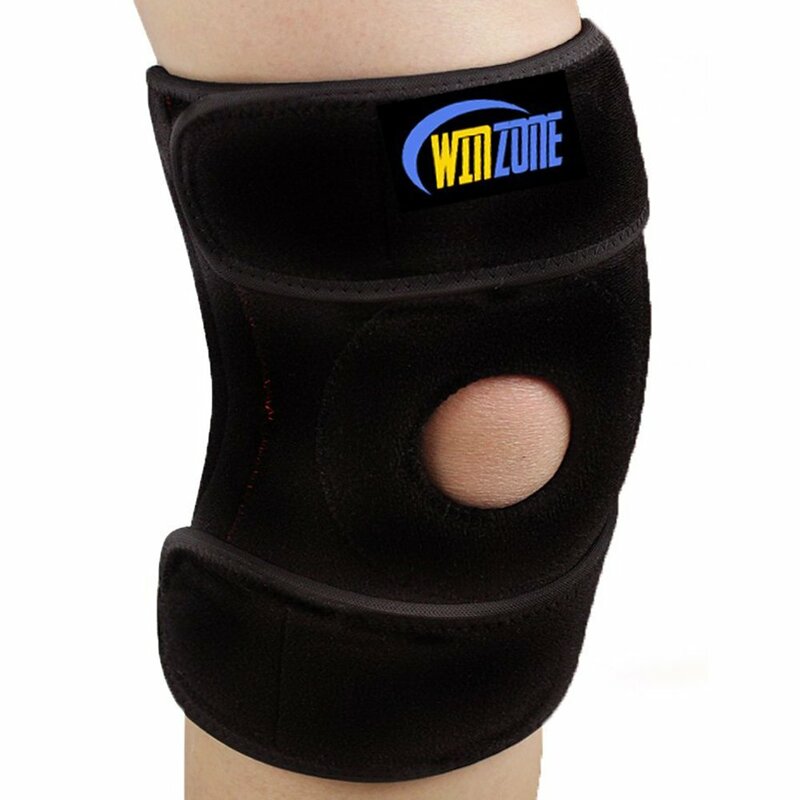 The Winzone Knee Brace support is considered the best selling knee brace support in the online market today. However, it may not be at the top due to its price point. To note, almost every feature and assured comfort that this knee brace offer, similar with other knee braces within its price point. Despite this, the Winzone Knee Brace Support is the top two of our best knee brace for running due to its tested durability and comfortability. 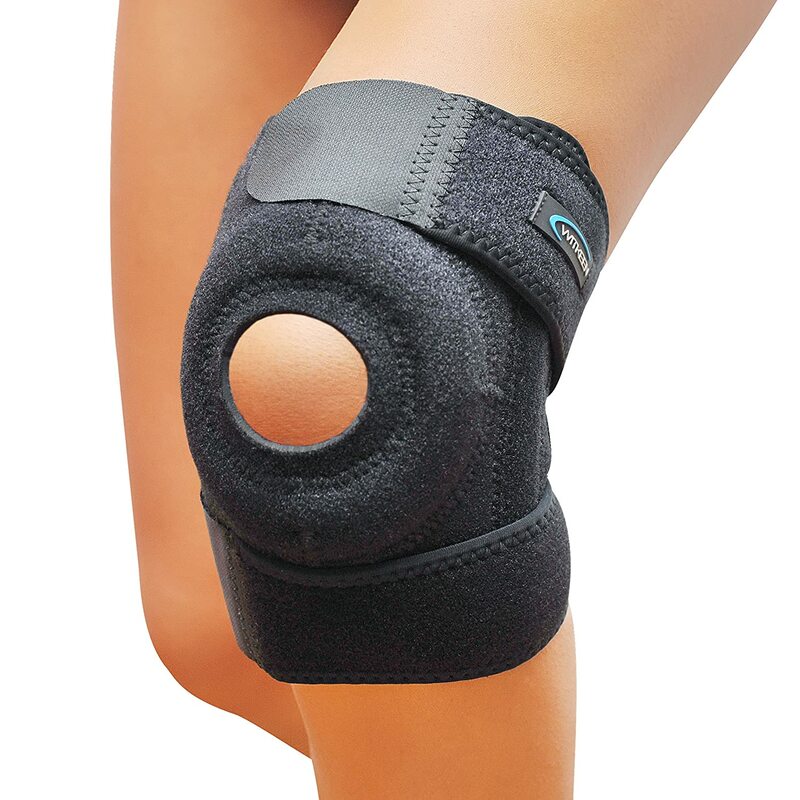 Therefore, extended use of the knee brace is recommendable due to the extra comfortable paddings inside the product. 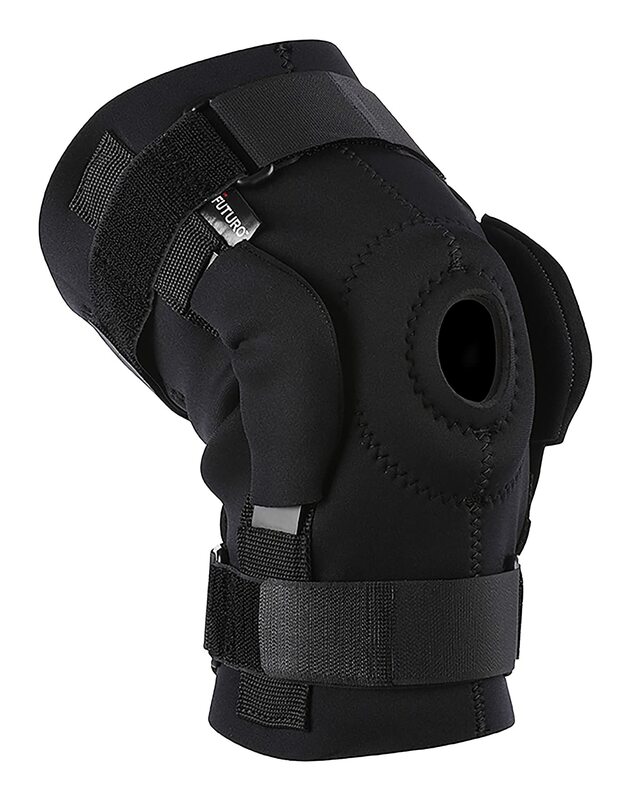 As compare to other knee braces in the market, this one is made from 100 percent of neoprene material, which is known to provide good heat conduction and anti-slip properties. On another note, the money-back guarantee of the supplier is a good sign of a good product. Unlike other suppliers, customer satisfaction with Winzone can be assured of. This particular knee brace is different among our five best knee brace for running. This knee brace has no Velcro straps, but it may easily fit you, due to its rubberized materials. It does not slip easily, not even with the most strenuous activities. It is the second cheapest knee brace that might get the job done. Lastly, its thinness may not be helpful in the long run due to wear-and-tear. This section is to help you and provide you a better understanding of what to look for in a knee brace and other important factors that might help you choose the perfect knee brace for your running needs. You will be using your preferred knee brace to run, and other than running, you might well use your knee brace for other activities or purposes in the future. Looking for a cheap knee brace may or may not be a good idea, but if you can find a cheap brace that is made from comfortable material, sewn really thoroughly, and has also anti-slip components, then it is already a great deal. This is an important factor to take into consideration, especially to those who are suffering from pain in the knees that could have been caused by a disease or surgery. Extra padded materials, foam, or the kind of cloth that has been used in the knee brace, are important to consider. This is particularly important for users who just went out of knee surgery or who is having arthritis and other kinds of pain-inducing diseases. There could be a chance that your condition may worsen if you buy the wrong knee brace. Some knee braces are known to provide good comfort and support compression for the knees. However, these are deemed senseless for those with a dislocated knee. These knee braces may fail to prevent the moving of your knee from left to right, and vice versa. Lastly, it is important if the customer service, replacement, and return policies would satisfy your needs. These things will be helpful in the future, when you are not satisfied with the product you have bought. Out of all the five knee braces that we have reviewed, the knee brace from Ultra Flex Athletics is what we consider the best knee brace for running. Aside from the cheaper price point, the knee brace combines comfort and protection for your knees. Its features, such as the anti-slip silicone wraps, and its material’s thinness, are incomparable to others. For me, this is not only an economical choice but, the best choice among other knee braces in the market. We may safely say that the design and the effort that the creators put into the knee brace is outstanding, and of course, supported with scientific facts.